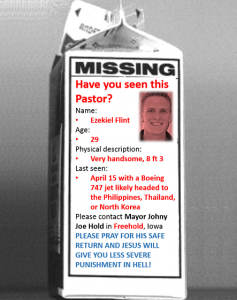 What I’m concerned about are his frequent travels to the Middle East. He has been going there to boost the moral of Christians who are being harmed by ISIS. We’ve all read about the murders and beheadings of Christians. Could Zeke be in harm’s way? So, I’m asking–no I’m begging. 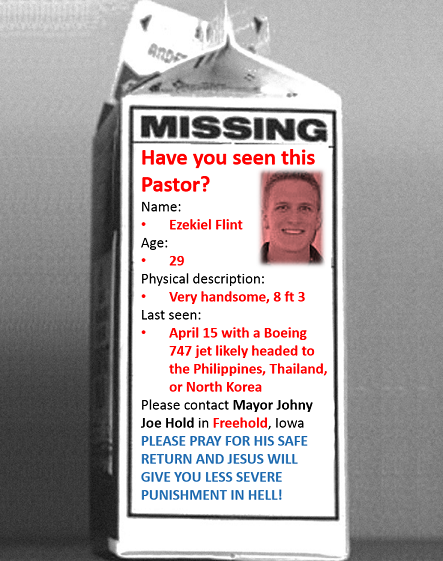 Please provide any information you have about our beloved Pastor Zeke.